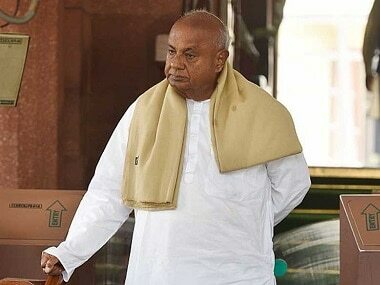 New Delhi: Former prime minister HD Deve Gowda on Thursday rejected claims of BJP leaders that a "grand alliance government" will create chaos, and said the multi-party dispensation led by him had proved it can work. Speaking in Lok Sabha during a debate on motion of thanks to President's address, the 85-year-old JD(S) leader, who was visibly emotional, said he spent 57 years in public life in state and national politics and this was his last speech. 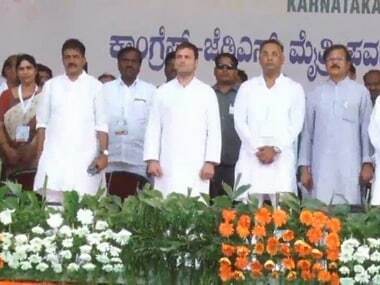 Recalling his days as the prime minister, Gowda, who led a coalition government for 10 months between 1996 and 1997, said he had not been keen to occupy the chair since the issues involved in running a multi-party dispensation. He said his name came only after then-prime minister VP Singh and CPM leader and then-West Bengal chief minister Jyoti Basu declined to accept the position. 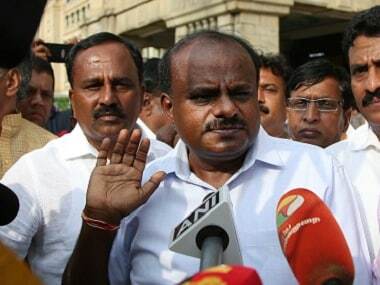 Listing out measures undertaken by his government in several areas, Gowda said after the World Bank declined to extend monetary assistance, he had decided to use the ‘black money’ in the country to fund government programmes. 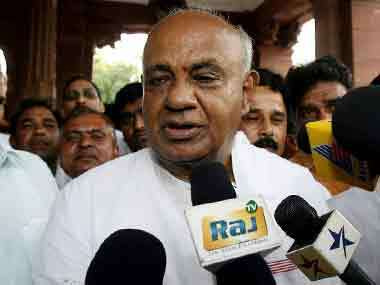 Gowda said he had proposed a Voluntary Disclosure Scheme which was rejected by then-finance minister P Chidambaram. "Don't unnecessarily talk against grand alliance. Vajpayee started with coalition. Coalition governments can work if there is an understanding. No one should air their differences outside," he said. Gowda added he initiated work and sanctioned money for the Bogibeel Bridge, India's longest rail-road bridge, connecting the north and south banks of the Brahmaputra, falling in the eastern part of Assam and Arunachal Pradesh. He also sanctioned Rs 6,100 crore for the northeast region during his tenure, Gowda said.